Let joy be unconfined: Tinker Tailor Soldier Spy has secured some nominations! The London Critics' Circle, Britain’s second biggest film awards after the BAFTAs, has given the film six nominations, including Best Film, Best British Film and Best Actor for Gary Oldman, which is great news, though the lack of a nomination for director Tomas Alfredson is distressing. However, it is also good to see that Tinker Tailor is tied on six nominations with Drive, the American action-thriller which, like the British espionage drama, has been shamefully overlooked so far this awards season. Despite having won the Best Director award at Cannes and receiving a warm critical reception, it has been another strange absentee from the lists of nominees which have been pouring out of the States. Drive is an exceptional film. It is, when stripped down, little more than a thoroughly well-executed action thriller, but the sum of all of its parts is deeply impressive. It is a film which is far more about how it makes you feel than what it makes you think. Ryan Gosling may well be the nominal star (and more of him later), but the real hero of this film is its director, Nicolas Winding-Refn, who has crafted a film of extraordinary energy. 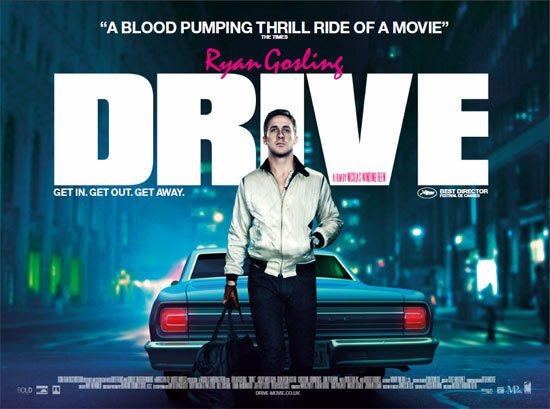 At turns an adrenaline-pumping ride, a tender romance, and a gut-wrenchingly violent gangster film, Drive never lets its audience go and envelops them with a stylish flair which is unlike anything you will have seen this year. From the meticulously beautiful cinematography from Newton Thomas Sigel, through to Cliff Martinez’s terrific score, this is filmmaking craft at its very highest. The aforementioned Gosling has picked up nominations for the The Ides of March, which is the inferior work, and also features his inferior performance. Here, as the quiet, unnamed “Driver”, he is compelling and subtle, doing so much to keep the audience intrigued by a character who keeps so much under the surface. He is ably supported by one of the best ensembles of the year, in particular Albert Brooks, who has been collecting nominations, including one at the Golden Globes, for his disturbing portrayal of the dirty Bernie Rose, and the lovely and affecting Carey Mulligan as the unfortunate Irene. Much has been made of this film’s balance between art house sensibilities and action film muscle, and this is absolutely accurate. It is a film with a far broader appeal than its marketing perhaps implied. It has two of the greatest car chases you could ever wish to see, and the sort of stylised violence which will make it a favourite in the bedrooms of teenage boys everywhere. However, it has something for the more mature viewer. Someone once said of The French Connection that if you could bottle that film, it would be made illegal. The same could be said of Drive.